Tutoring is an important support service that may be appropriate for students who are deaf or hard of hearing to receive. It is important for educational interpreters to understand basic tutoring techniques. The relationship between the tutor and the student is different from the relationship between the interpreter and the student. These roles must be defined and understood by both. Most educational interpreters lack formal instruction on tutoring and should receive training if their job descriptions include tutoring duties. 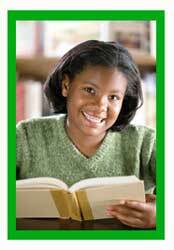 Additionally, tutoring provided by an educational interpreter must be supervised by a teacher. If the educational interpreter participates in the student’s IEP meeting as a tutor, she/he may answer questions related to student performance in the tutoring sessions.